One of the premiere shore snorkel locations in all of South Florida is on the Intracoastal Waterway just inside of the Lake Worth Inlet called the Blue Heron Bridge. This site is located inside Phil Foster Park and is just past the Force-E Riviera location. 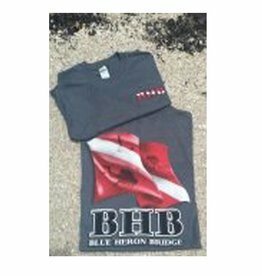 Our staff dives the bridge daily, and our Blue Heron Bridge map is printed up for you to grab for free from the store. Snorkelers should be aware of the tide table to snorkel this site. The best time to snorkel the bridge is between an hour before and after high tide. Depths at this site range from about 5 to 20 feet, which makes it ideal for snorkelers. 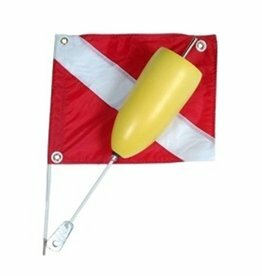 Anyone in the water diving or snorkeling, must have a dive flag to mark their location. There are lifeguards on duty and they are watching the swim-only areas, but can be available if needed. There is a designated snorkel trail, which has rock formations, reef balls, mini wrecks and statues of hammerhead sharks for all to enjoy. Please do not snorkel in the marked boat channel areas, refer to the map for these locations. Also please be aware there is a fishing pier, which is active with fishing equipment, we advise snorkelers to stay away from this area to avoid entanglement. At the Blue Heron Bridge there are seahorses, octopus, pipefish, frogfish, batfish, nudibranchs and other rare and exotic species of sea life you won’t find out on the reef. But don’t rule out the rare sightings of manatees, spotted eagle rays, manta ray, nurse shark, green sea turtles, or Goliath Grouper that locals have encountered at this site. CAUTION: Do not swim too far to the west into the boat channel. Don't go west of the fourth set of bridge columns. Be considerate to fisherman on the old bridge. The park is open for snorkeling after sunrise and before sunset. Be aware of the posted times for the public to use the park, anyone in the park past 10 pm may get a ticket. Please make sure you understand all the snorkeling guidelines before you get in the water. In the park, there are bathrooms and showers, and picnic tables and BBQ areas for public use. Parking is free, be aware of the boat trailing parking area because vehicles will be ticketed if parked in these spaces. Get there early, especially on the weekends, spaces fill up quickly. Lock up personal items and don’t leave anything outside of your vehicle. There is a fishing pier and we advise anyone wanting to fish to get a fishing permit. Please note there is no spearfishing or lobstering allowed at the bridge. We also advise no take of the creatures from this site in order to preserve this wonderful gem. To snorkel this site, contact Force-E Riviera Beach for more information.